10 years ago on this day Volkswagen announced the location of its new plant in the United States, saying "It's Chattanooga." 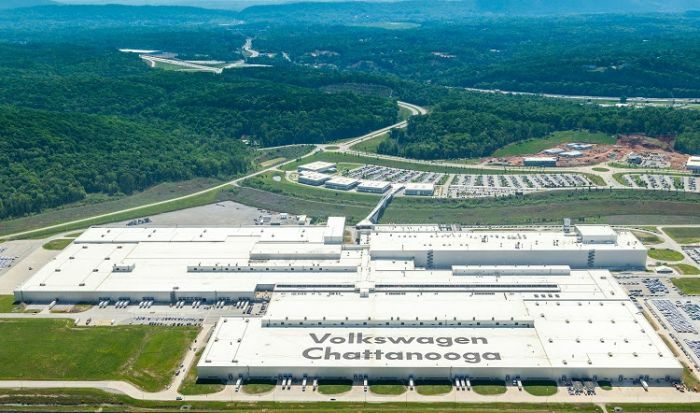 VW's Chattanooga decision resulted an initial investment of approximately $1 billion in Chattanooga, and the commitment to hire 2000 team members. Over the past 10 years, this investment has grown to more than $2.3 billion, resulting in 3500 jobs and the assembly of nearly 800,000 vehicles.